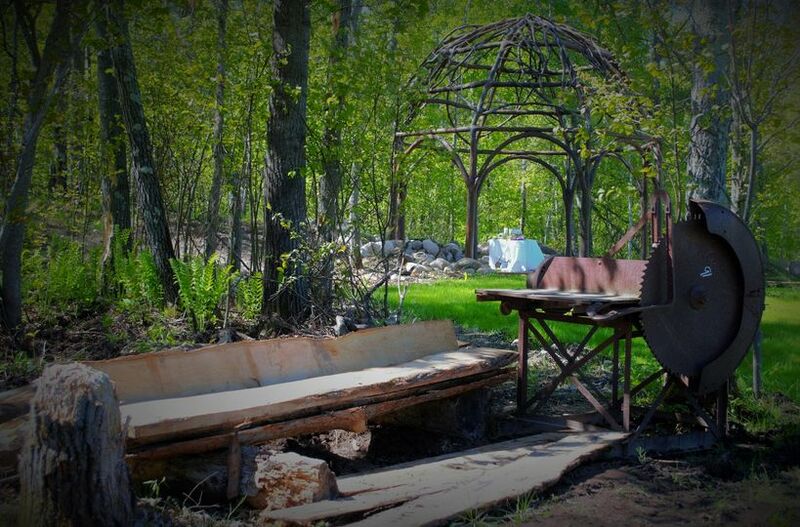 The rustic beauty of nature encircles The Woods wedding venue in Brainerd, Minnesota. 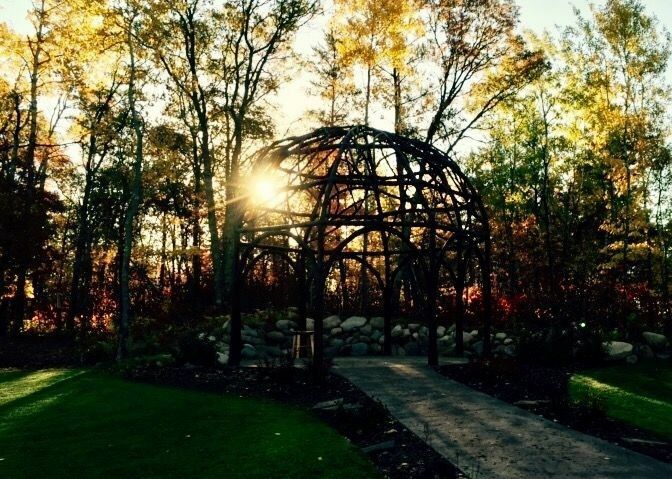 A unique outdoor wedding venue tucked within Minnesota’s woodland offers a full-service wedding experience for couples and their guests. 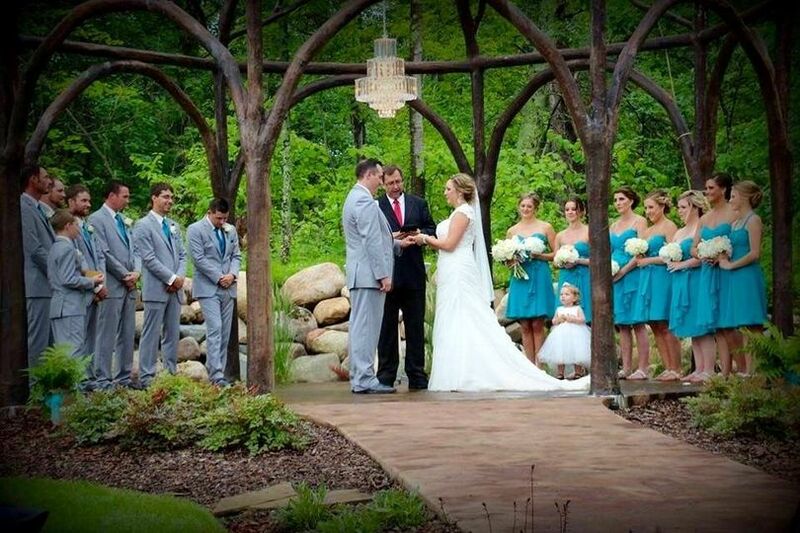 Beyond the ceremony and reception amenities, lodging and transportation make for a beautiful, accessible and stress-free experience. 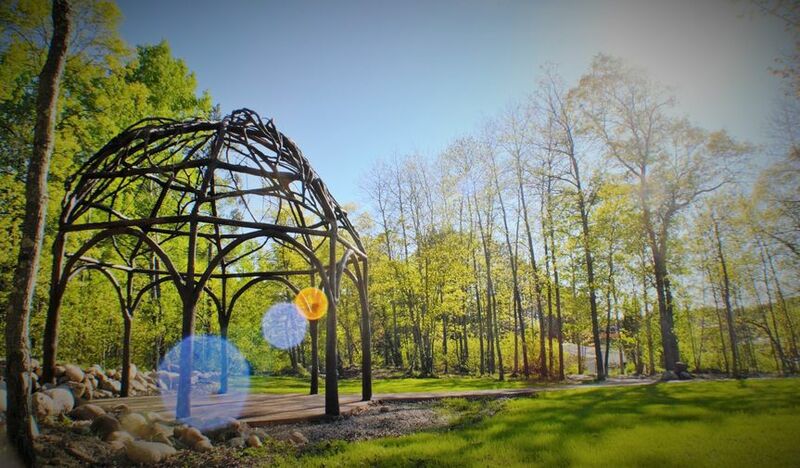 The unique quality of the outdoor ceremony structure and area highlight The Woods as a classic and rustic-chic wedding venue. 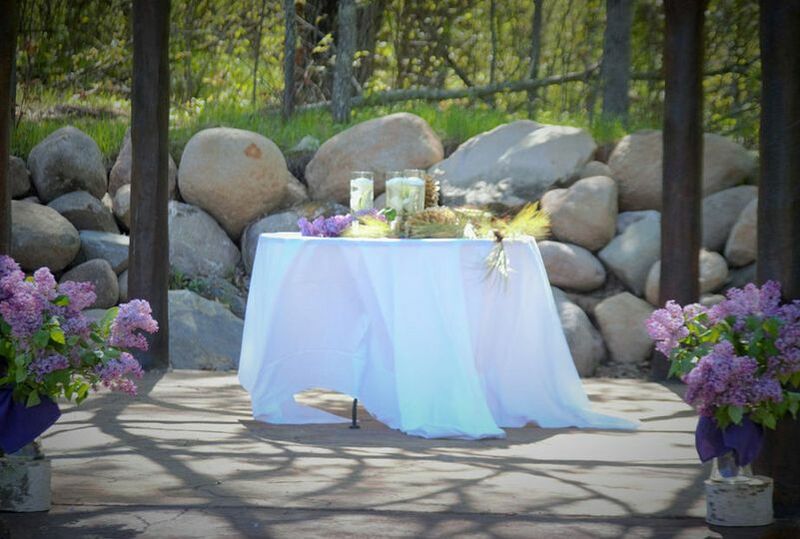 Nature surrounds the outdoor wedding area, offering intimate seclusion and a lush natural backdrop. 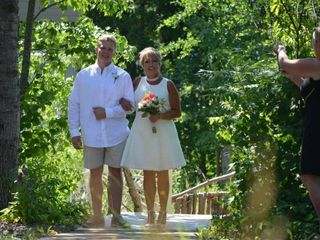 Following the ceremony, walk to the reception and enter the reception hall through a rustic barn door. The event hall seats 300 guests for dining, dancing and general celebration. 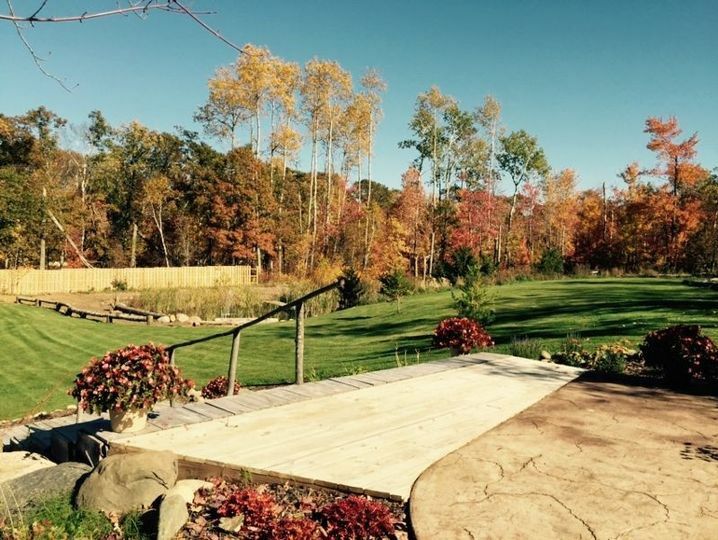 The full-service nature of this venue includes lodging options for couples and their guests. Choose from a guest cottage, A-Frame, and 13-room hotel for lodging needs. 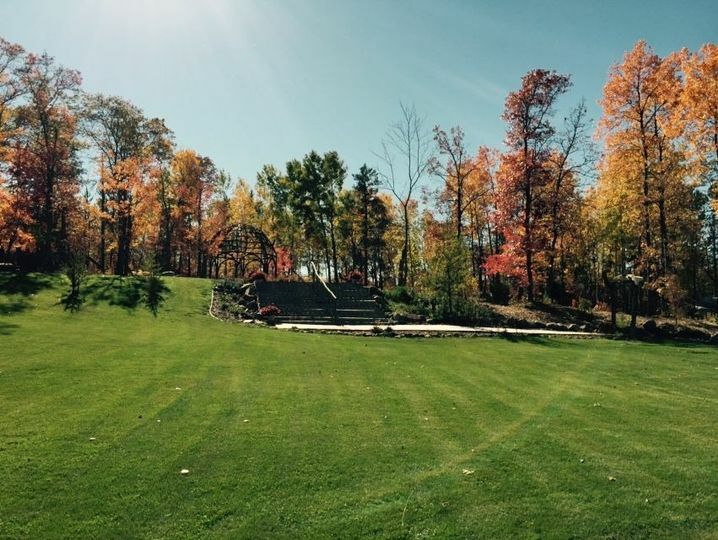 An outdoor patio that houses four fireplaces and a game area further exemplifies the unique and inclusive atmosphere of The Woods wedding venue. 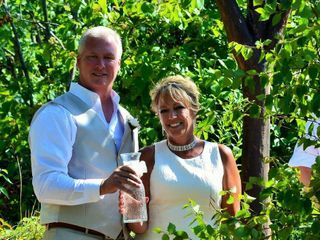 Couples who choose to work with the event coordinator at The Woods also have access to a full-service restaurant and expansive catering options. Options for cuisine include buffet style, family style, hors d'oeuvres, plated dinners, servers and tasting stations. In addition, the venue can accommodate food selections for a cocktail reception and welcome couples bringing in an outside cake. The flexibility between dining options adds to the full-service accommodations the venue provides. 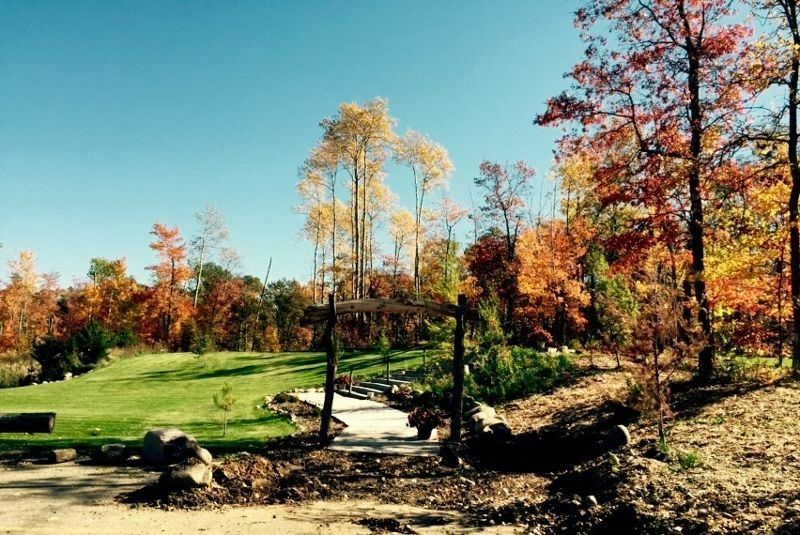 We loved the woods and everything it had to offer from beautiful spaces to flexibility and professionalism. I did not have go worry about a single thing during our wedding day because everyone at the venue handled it beautifully. Thank you so much, Patricia, for your wonderful reviews and beautiful thank you note! We LOVED working with you and Taylor and wish you both nothing but the best and a big happily ever after! 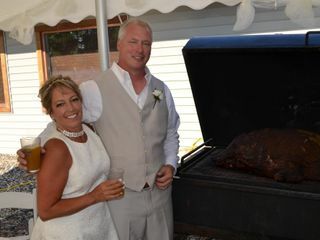 We used The Woods to cater our wedding at a cabin in Aitkin. We were planning our wedding from the cities and worked with Becky to plan everything from afar. We didn't have time to do a tasting, but figured that a pasta buffet was hard to screw up so we just booked it and HOLY CRAP they exceeded our expectations in every way! The pasta sauces were made from scratch by an amazing chef. All night long people kept asking us where we got the food and complimenting everything. The appetizers were insane. My only regret is not going back for seconds. They were professional, on time, cleaned up after themselves, filled water glasses, and made sure there was more than enough food. Our ceremony was in the next room and I had no idea they were even there. Seriously, I can't say enough nice things about them. Everything was so smooth and delicious. Thank you to Becky and all the staff!! Thank you so much for your beautiful review! We loved catering your event and so glad you were happy with everything! Thank you so much for your trust in us! Congratulations and best wishes! Our wedding day was perfect thanks to the Woods! 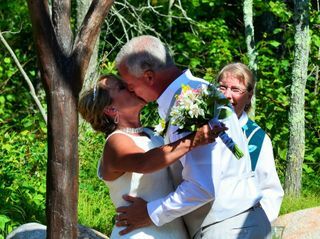 Thank you so much Rachel for celebrating your big day with us, we loved having you and your family here all weekend! !